It is simple for policyholders to minimize downtown when filing an Allstate auto glass replacement claim. Accidents or vandalism can happen at any time and when you have a broken windshield, side window, door glass, or rear window you need help right away, so you can get back on the road as soon as possible. Glas Tek is a preferred Allstate auto glass replacement shop and is backed by Allstate directly. We offer a lifetime warranty against manufacturer defects, leakage, and workmanship. Plus, we will give policyholders that carry full Allstate auto glass replacement coverage on their policies $50 CASH BACK at the time of service. 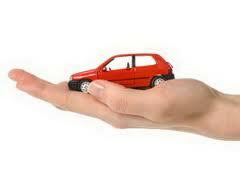 Glas Tek honors Allstate’s contract pricing therefore there will NEVER be any additional expenses for you or Allstate. In addition, we provide free valleywide mobile service to the Phoenix Arizona areas and will come directly to your home or business. Allstate auto glass replacement claims are EASY and only tke about 10 minutes of your time. Call Glas Tek direct at 602-334-1965 and a knowledgeable glass specialist will guide you through the claim process and answering all of your questions in advance. Allstate’s Glass Claim Express allows you to file a “auto glass only” claim any time of the day or night by calling 1-800-626-4257 or filling out an Allstate online claim form with any electronic device. You choose the repair shop of your choice from their extensive network and a helpful customer service representative will provide assistance by contacting the shop and scheduling service to repair or replace your vehicle’s glass. Glas Tek is a preferred Allstate auto glass replacement and windshield repair shop in the Phoenix Arizona area and offers a nationwide lifetime warranty that is back by Allstate. 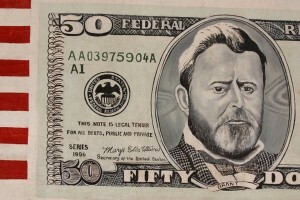 In addition, Glas Tek will give you $50 CASH (on the spot) and come directly to your home or business to provide the work. Glas Tek honors Allstate pricing and all quality standards. 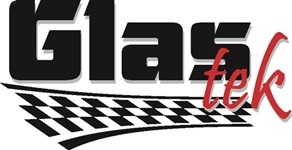 If you choose to file the claim directly with Allstate it is imperative that you choose Glas Tek as your preferred Phoenix auto glass replacement shop. If Allstate cannot find us under our name Glas Tek (sometimes they misspell it) they will be able to locate under our phone number #602-334-1964. Or, if it is easier you can file an online Phoenix windshield replacement claim with Glas Tek directly and one of their knowledgeable auto glass specialists will answer all of your questions prior to filing the claim. Visit Allstate windshield replacement claims page for a complete list of questions that are asked during the claim process. A knowledgeable representative can assist you in determining if the Allstate auto glass replacement shop should repair or replace the glass. This is especially important if the broken glass is your windshield. If you can cover the crack or chip with an ordinary dollar bill, repair may be the better option. In just 30 minutes, a trained technician can repair your windshield, leaving only a small visible mark that will fade with time. Allstate waives your deductible when you choose repair over replacement. Allstate Glass Claim Express consists of an extensive network of more than 16,000 participants nationwide. Many Allstate auto glass replacement preferred service providers including Glas Tek provide free mobile service at home or work. Professional trained technicians will restore your vehicle’s glass without any disruption to your regular schedule. Allstate guarantees the work of Glas Tek, giving you the peace of mind you expect and deserve when you get back on the road.